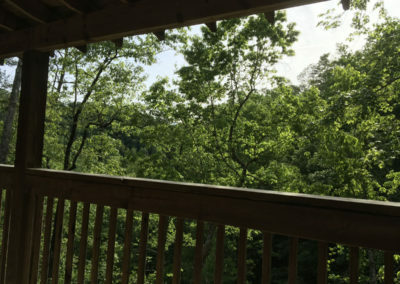 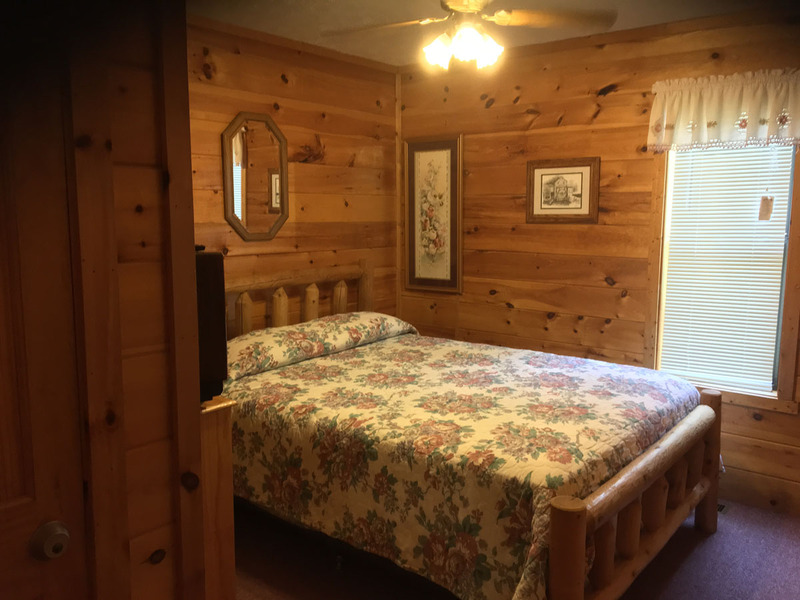 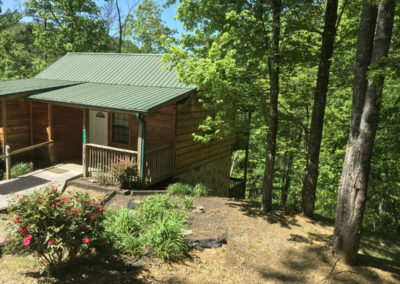 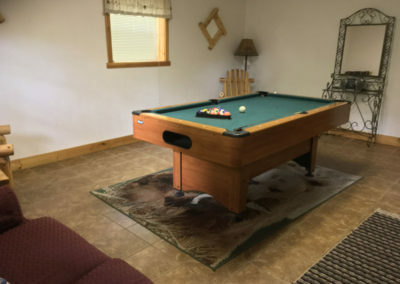 2 Bedroom Family Cabin in Pigeon Forge, TN. 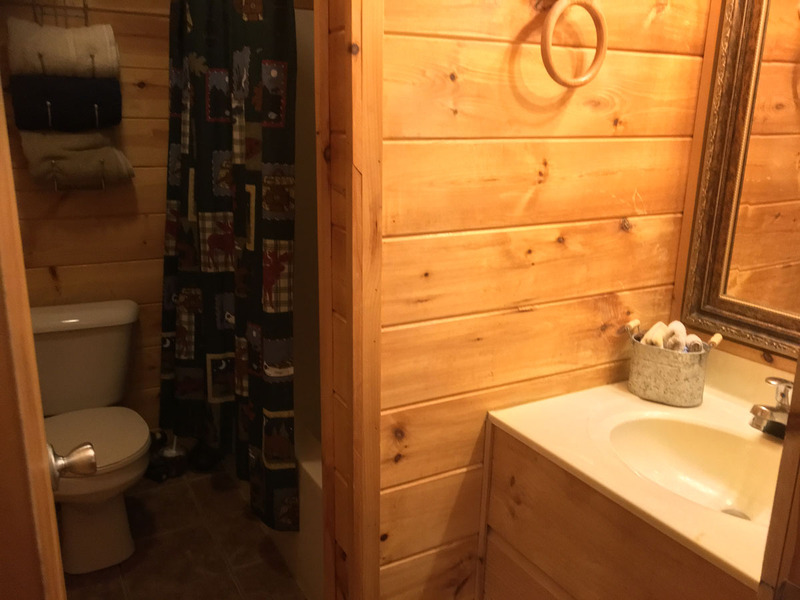 2 Bedroom Family Cabin, cozy space with a private hot tub. 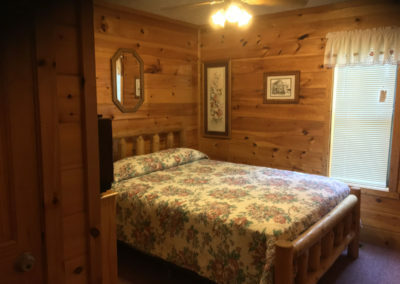 Perfect for an Affordable Family Getaway. 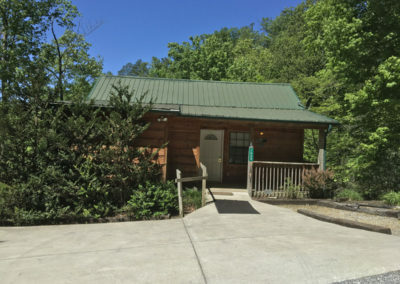 Going on a vacation to the area of Gatlinburg and Pigeon Forge with your friends or family is certain to be an unforgettable experience that is filled with thrills and amazing experiences. 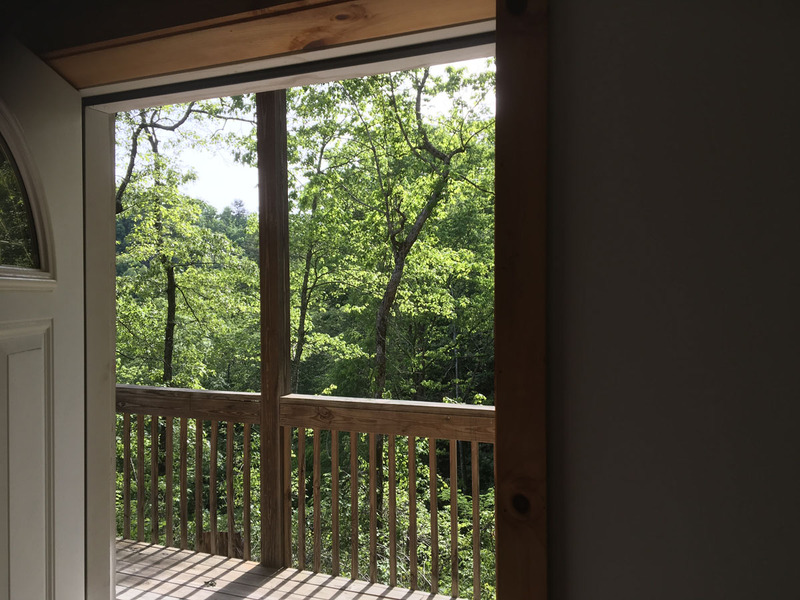 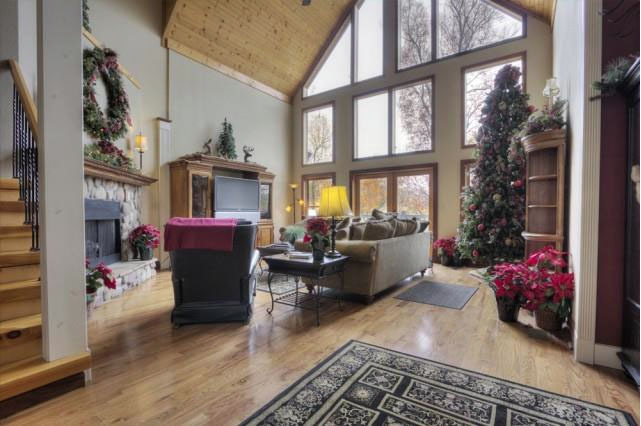 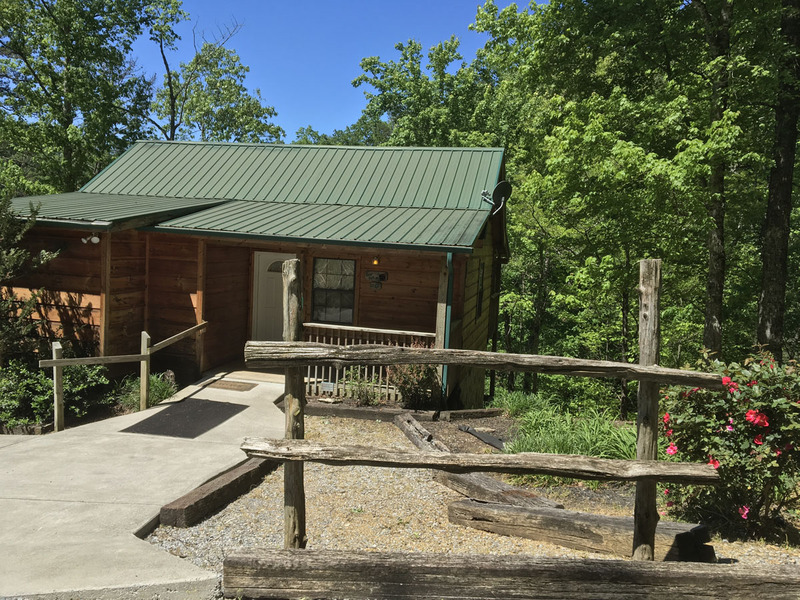 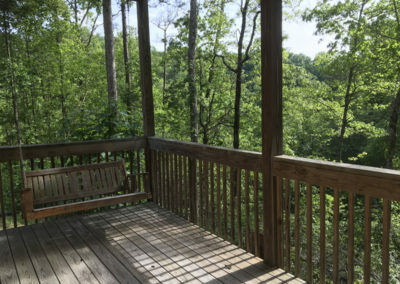 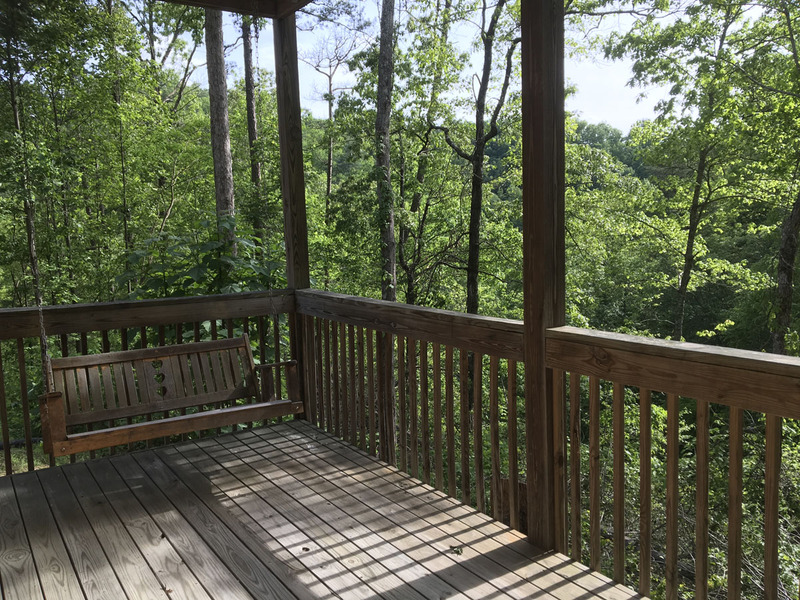 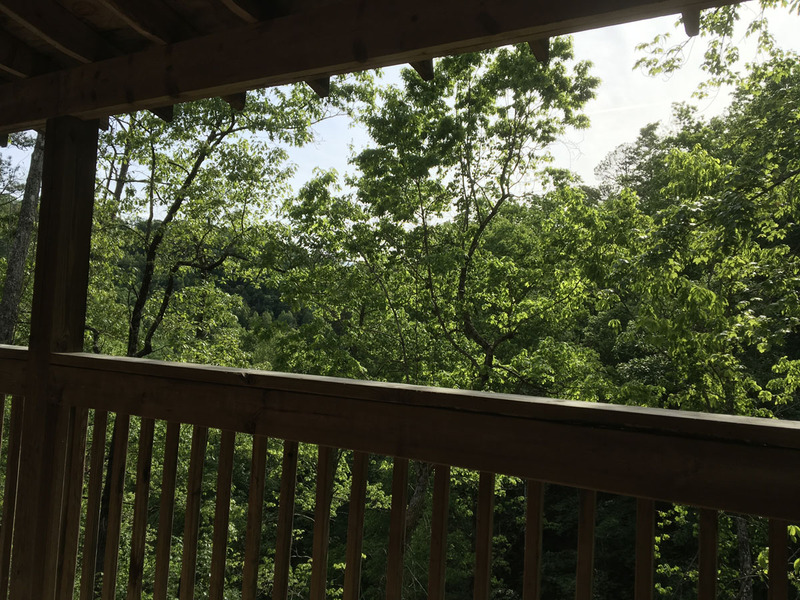 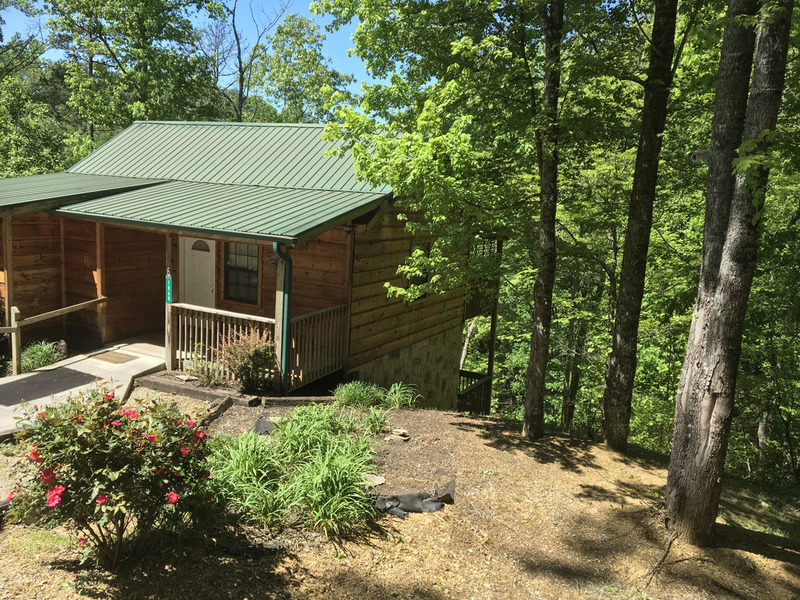 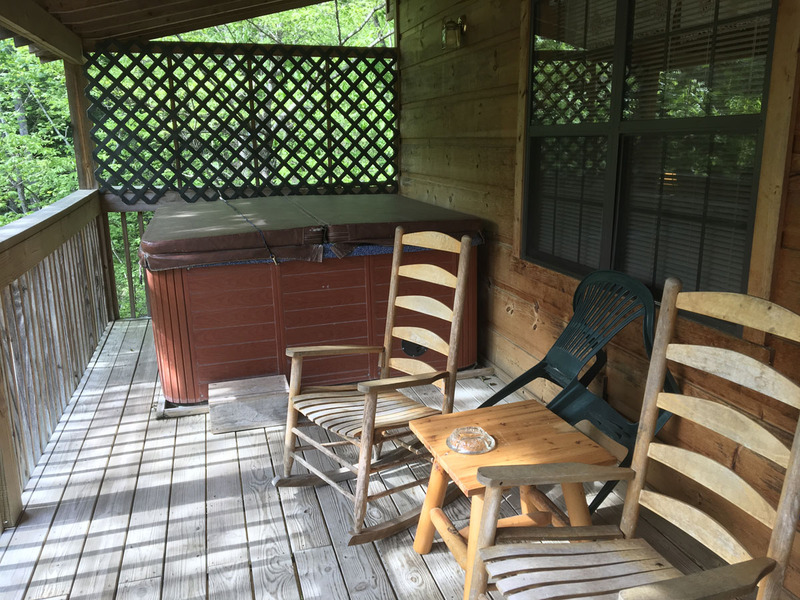 And what more perfect way to start off the ideal vacation in the Smokey Mountains than by booking a stay in our Bear Oaks Cabin? 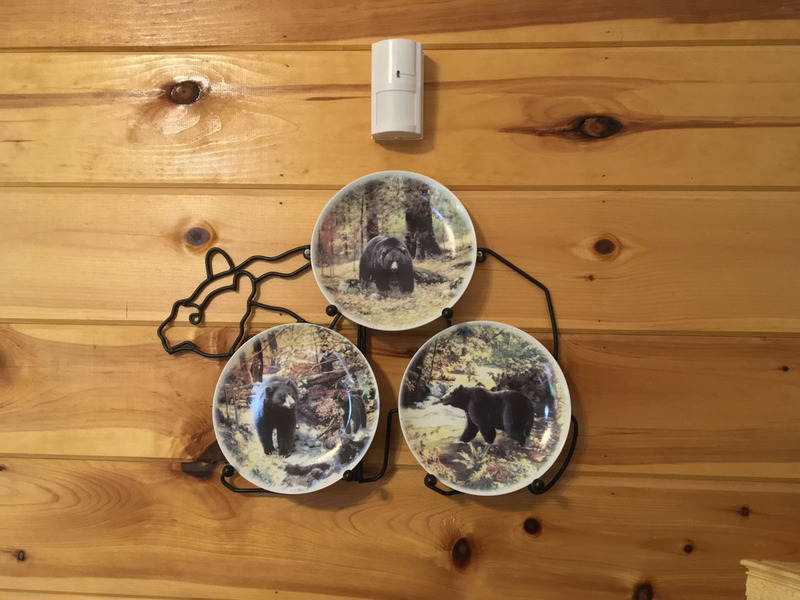 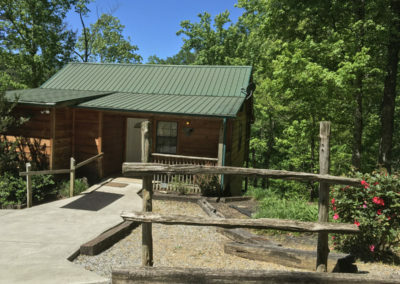 Honeysuckle Ridge’s Bear Oaks Cabin has 2 bedrooms and 2 bathrooms. 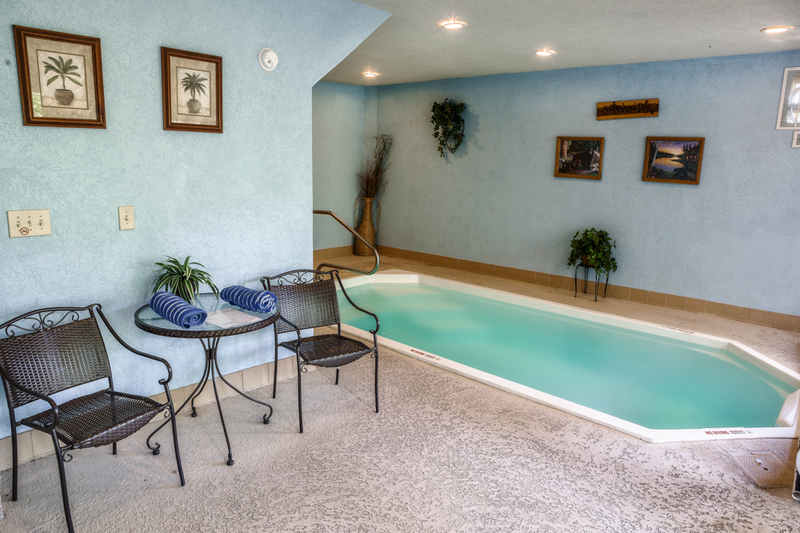 This means that it has plenty of space to accommodate your family, for a wonderful family vacation that is like no other. 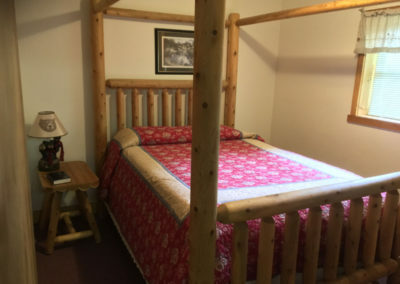 In addition to the double bed in each bedroom, there is a sleeper sofa that can be used for a small child to sleep on. 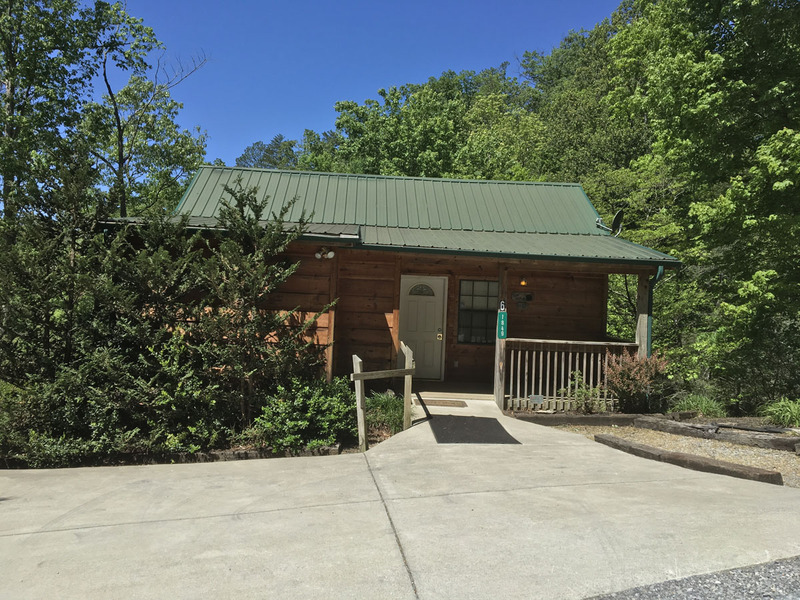 One of the things that makes this cabin so great for family vacations is its proximity to famed attractions that offer fun for all ages – such as Dollywood, the Island, and Ripley’s Aquarium. 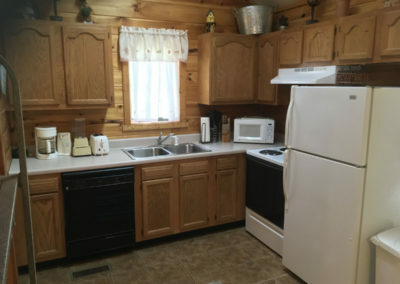 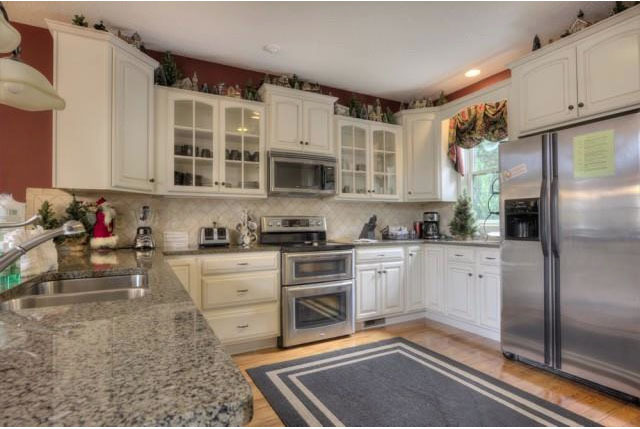 In addition, the spacious and fully equipped kitchen makes it easy to prepare meals for everyone when you aren’t going to one of the nearby restaurants. 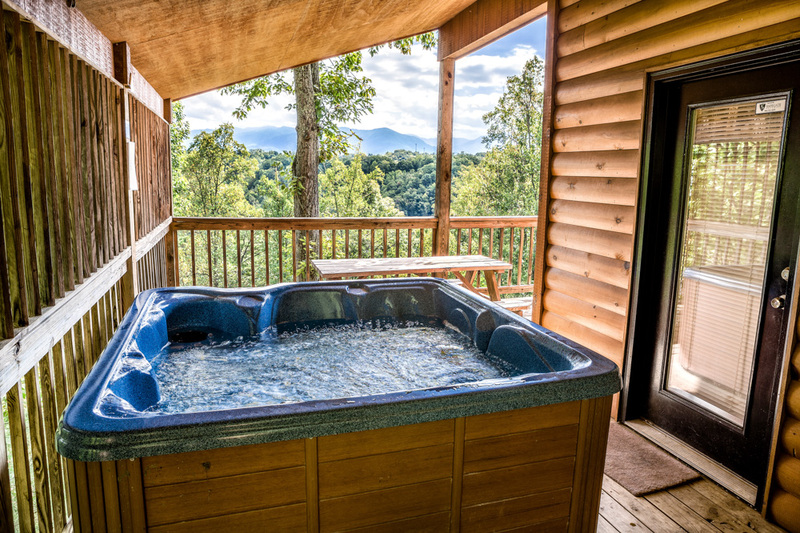 Take a few friends on a thrilling trip to Gatlinburg and Pigeon Forge! 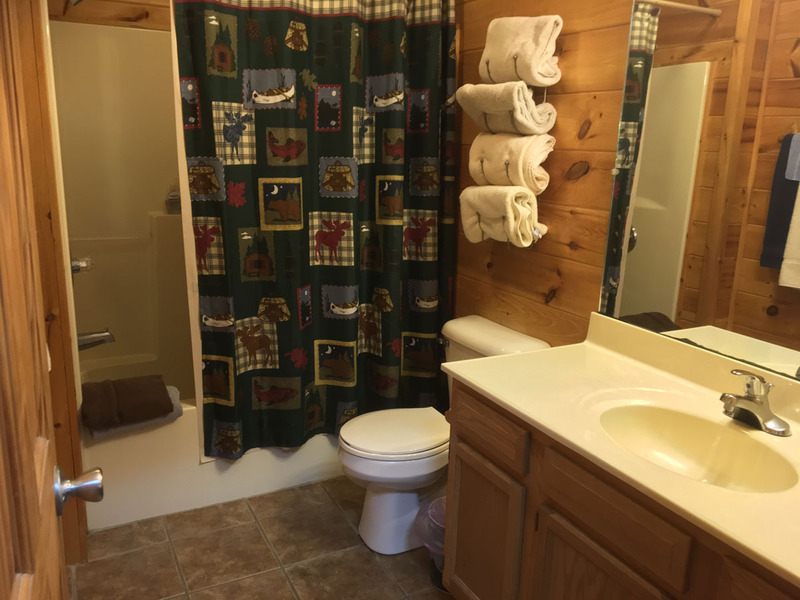 With complete privacy and seclusion, the Bear Oaks Cabin is perfect for you and your friends to have a lot of fun and be yourselves. 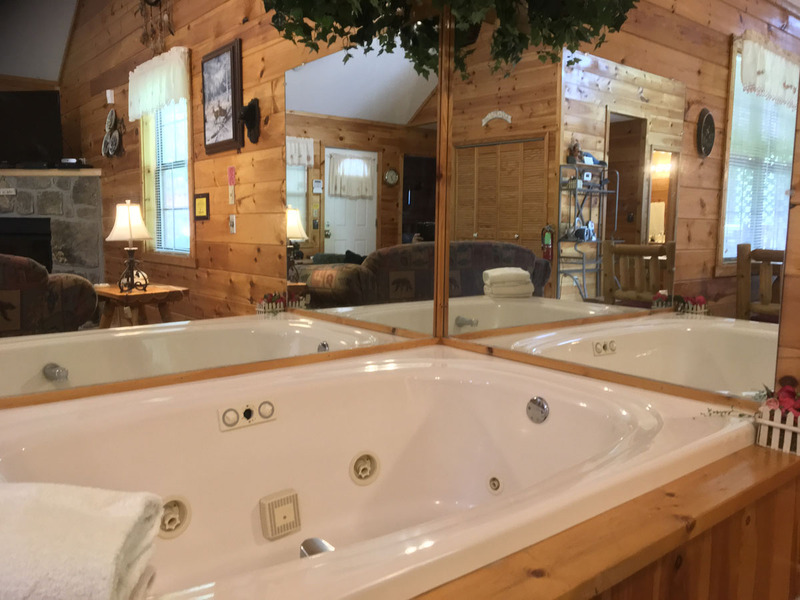 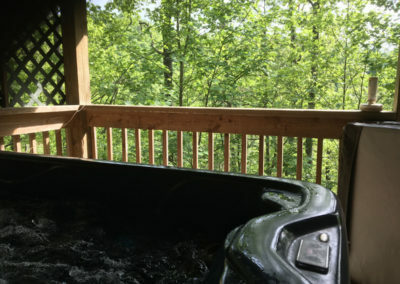 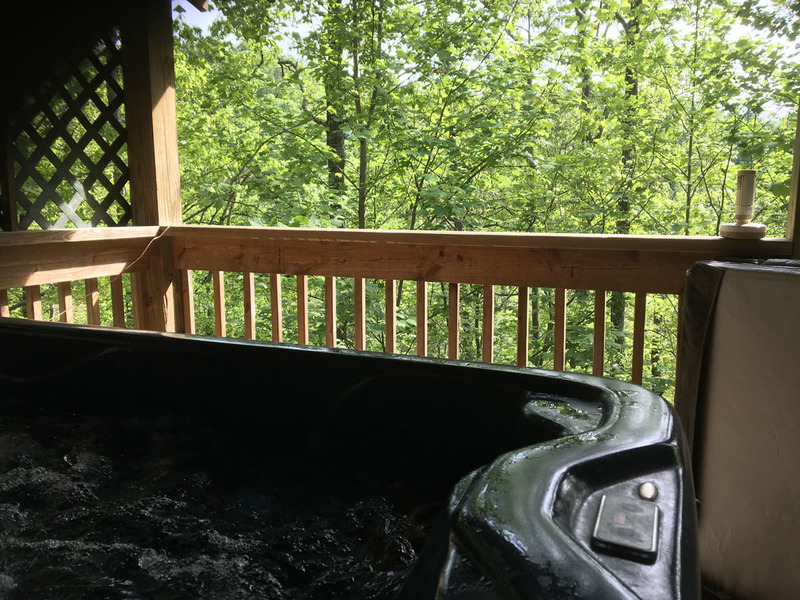 When you are not out exploring the sights, taking in a show, dining, or going on rides, take advantage of the hot tub on the patio out back, overlooking a remarkable view of mountains and forests. 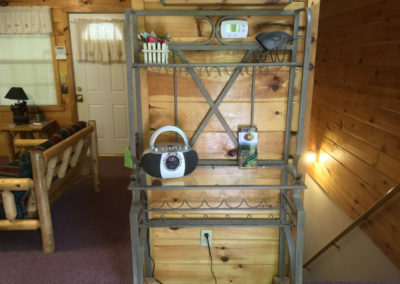 As far as payment goes, all credit and debit cards are accepted. However, if you use American Express, you need to pay a 3.5% service fee. 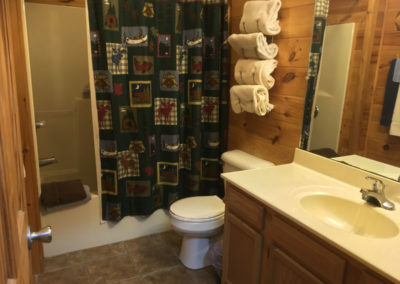 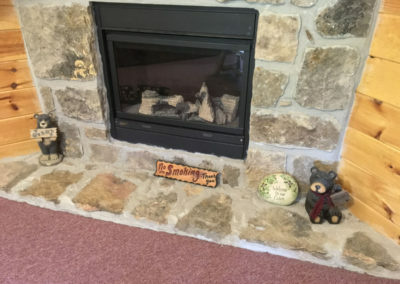 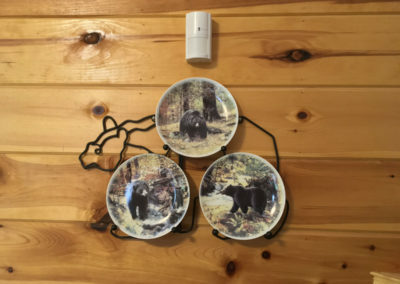 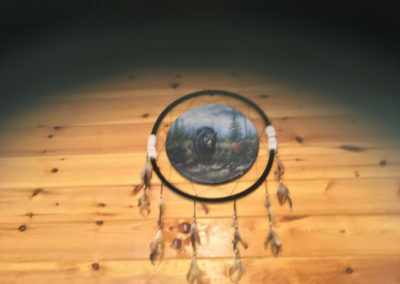 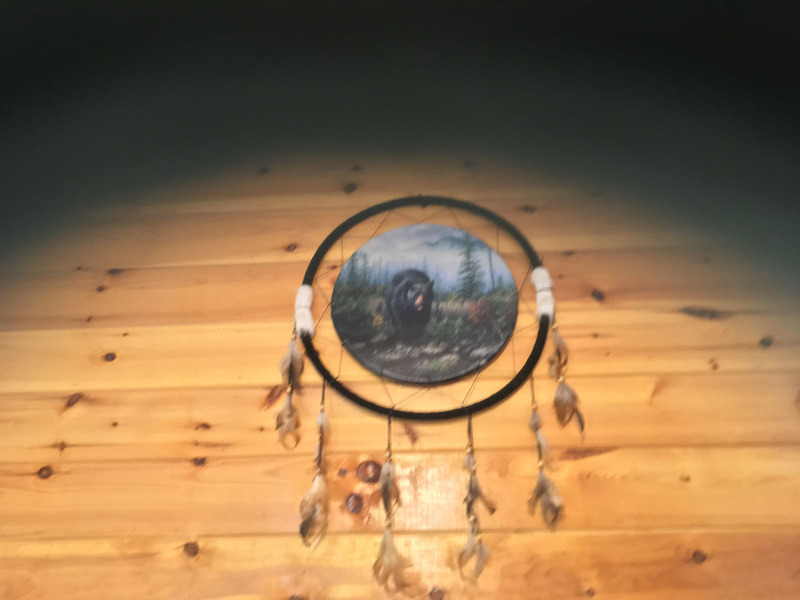 When you are paying for your stay in the Bear Oaks Cabin, if you will be arriving at the cabin less than 30 days after you have booked, then the full payment is due at the time of booking. 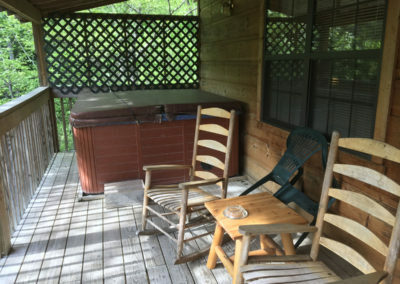 If you will be arriving at the cabin sometime after 30 days, then you can pay half of the price when booking and the other half at least 30 days before you go to the cabin. 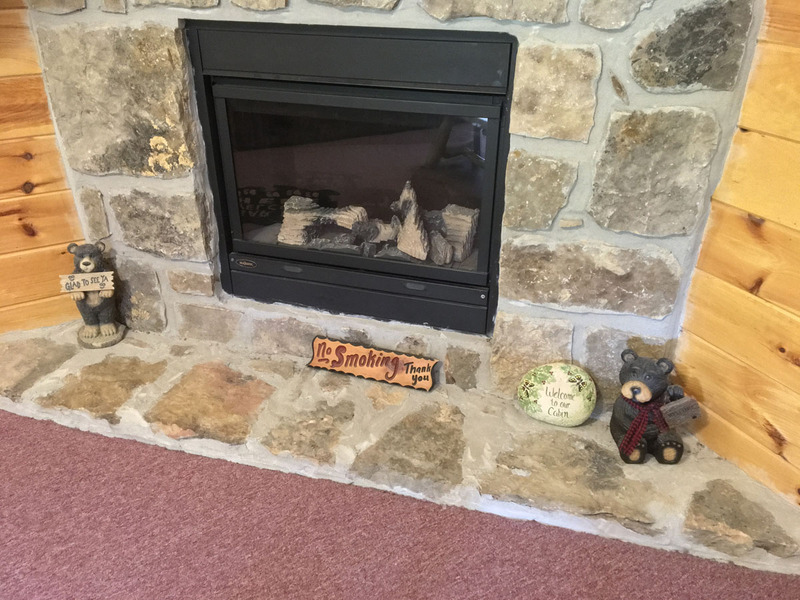 Cancellations made more than 30 days prior to arrival will incur a $150 cancellation fee. 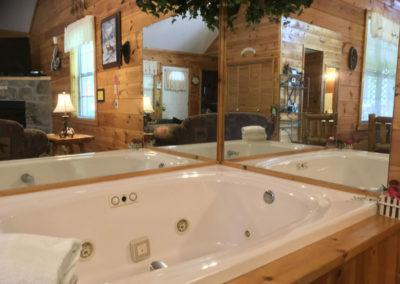 If you cancel within 30 days of your arrival, a refund is not offered. 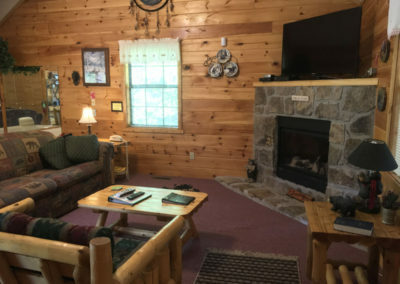 Check in time for the cabin is 4 PM, while the check out time is 10 AM. Contact us if you have any questions. 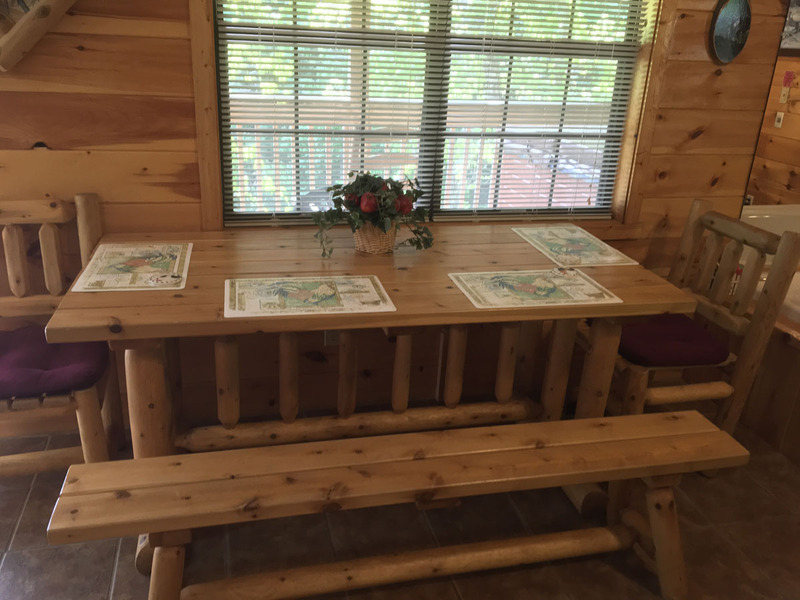 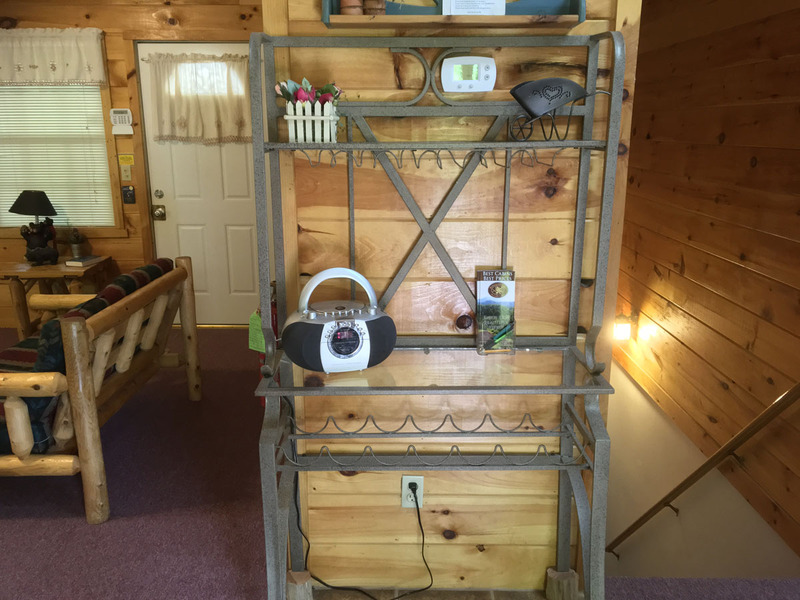 We look forward to speaking with you and hope you enjoy your stay in the Bear Oaks Cabin!